2 pack dustproof mask + 2 pack safety glasses, you can use it with your familys or workers, Give them the most intimate care. If one of them is dirty, you can wash it and use another one. So you can always keep your health. 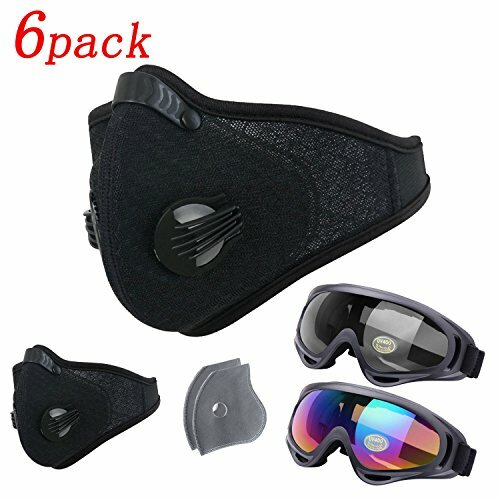 When you are doing outdoor sports Diy works, like cycling, motorcycle, ski, weeding and in the machine shop, you can wear dustproof mask and safety glasses to protect you. Dust mask is made of high quality mesh cloth, soft texture, comfortable to wear, General size, stretchy and adjustable.